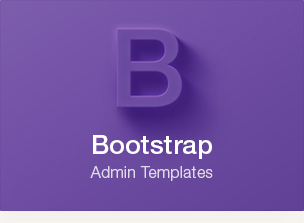 All our resources are royalty free for use in both personal and commercial projects. You can modify any resources to your liking to fit into your project. Please refer to our license page and our blog post Pixeden license explained for more details. What is this free member account and why should I register? By registering for a free member account you get access to an exclusive section of new free resources, our download center to conveniently browse and download our resources, and our community design request system to petition and vote for new resources that we will create and release. We want you to feel a part of PixEden as a community around and incentive you to use our service to create what you need. What is this premium member account and why should I register? To keep creating free resources and make our website lasts in time, we decided to create a premium membership with access to premium files. By registering for a premium member account you'll get access to our premium files, email support to modify and use our resources in your projects. as well as access to our download center and community forum to petition and vote for new resources to be created for you. No. There is no dowmload limit, you can download any resources as much as you want. Don't forget to share what you find here around you and enjoy. We have our own license that regiment the use of our resources. You can see all the details here and more details on our blog post Pixeden license explained. If you would like to share one of our resource you can do so making a link to the specific resource page on Pixeden.com, you can if you wish insert the embed code for the related video or/and the product previews images to illustrate your link. For specific cases you can refer to our license explained blog post here. Can I re-publish a post from your blog? No. Re-publication of the entire post is prohibited whether in its original form or in a translation. However you can quote our post and a link to it is always appreciated. Yes you might do so. 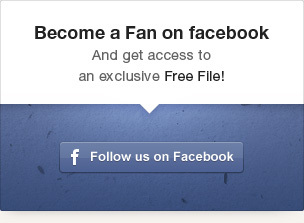 You cannot however redistribute our resources by providing a direct link to the download. We mean no evil. We use it to keep you up to date with what we do here. You can unsubscribe to any newsletter we might send you whenever you want. You can learn more about our privacy statement here. We are a bunch of designers and programmers that created this project to showcase what we can do. We are passionate about design and the web and love sharing stuff with everybody. 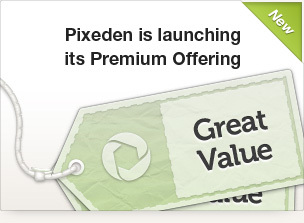 In July 2012, we created Pixeden LLC with the introduction of our premium membership plans and its associated services. Can I hire you for some freelance work? Yes you can. You can contact us on the hire us section through the contact form to tell us about your project. If there is a fit, we will gladly work with you. Can I put advertisement on your website? No you can't. We know that many blog and other site like us do it to get some revenue from their work. We however never liked advertising, and want to keep Pixeden advertisement free. I love what you do, how can I share the feeling? Want to thank us? Subscribe to our rss feed, newsletter, follow us on twitter or/and facebook, spread the word and why not register for a premium or free account for more resources and giving us your word on how to make us better…. How do I use what I download from your website? Most of our resources is pretty self explicatory in its use. We publish related video on some of our resources to help you use the resource to its best. If you have a question, just register and ask us in the community forum, we will be glad to be of any information to you. Note that premium accounts get email support. We'll try our best to help you modify and use our resources in your projects, or fix any issue you might have. You can cancel your account at any time. Here are the steps to cancel your recurring membership and not be charged anymore. Note that your account will still be active during the period of your membership, it will however not be renewed and be considered as canceled. Find your membership on the "My Subscriptions" section and click on the cancel button. You will be sent to the paypal website to login, and then be directed to your recurring profile with us. Click on the cancel link, and that's it. - Click Update in the My preapproved payments section. - Click on the subscription merchant "Pixeden LLC"
Any issues with this process, we are here to assist you. Yes you can. We will glady publish a blog post from you here with a author description on a link back to your website. We do however screen for quality and we do not pay for blog/tutorial article. If you like to know more, just contact us through the contact section form. Can i design something and share it here?